Questions to ask wedding vendors is part two of my question series for Brides planning their wedding. I had an amazing response with my blog post Questions to Ask Your Wedding Photographer and wanted to write this post – Questions to ask Wedding Vendors. I decided to collaborate with some vendors and venues so Brides are able to be fully prepared when they are sitting down with different wedding vendors at their consultations. I wanted to make sure Brides have great questions to ask wedding vendors that enhance their experience, so consider the most obvious questions are already answered: Are you available for my date? Are you in my budget? Are you a legal business? Here are some of the most important questions to ask wedding vendors. Some overlooked, thought of too late, questions to ask wedding vendors! Laura from the Grand Barn at the Mohicans, Cindy from Peacock Ridge, and Leah from Honey Run Inn were kind enough to collaborate and here is what they had to say about the most important questions to ask wedding vendors (venues). What have other clients done that has gone over well at the Grand Barn and have made the event extra special? Laura answered the question by saying : Look into the hot trends like food trucks, setting up lounge areas, and incorporating social media into the event (eg uploading photo booth photos to facebook or instagram). What are some things about having my event at the Grand Barn that I may not have thought of? Laura answered the question by saying: The floor plan and layout that makes the most of the space and makes sense for the flow of the event and providing the best directions and information to guests ahead of time. How can I make sure my guests make the most of the day? I’d like to add to this since I had my wedding at the Grand Barn. My mom and grandma spent weeks making cookies for our wedding and we had them in the loft. I didn’t make a sign stating that the delicious treats were upstairs and to please help themselves. People eventually caught on and the DJ made an announcement, but I wish I would had thought about making a small sign. Is your venue licensed to hold events? Cindy said: There is a significant amount of work and money that must be spent to make a venue legal to host events. Many people are opening their barns up to the public without being licensed. Couples run a huge risk of having their venue shut down. I get calls all of the time from frantic brides trying to find a new venue because their venue was closed down. Please make sure your venue is licensed. You can tell if the event center is up to code just by looking for fire alarms. If there aren’t any fire alarms in the barn it is not up to code. How can I make sure my wedding day runs smoothly? Cindy said: The most important thing I tell girls is to delegate! Its there day, and to really enjoy it they cannot do everything. I suggest they either hire a day of coordinator or appoint a family member (not their parents) to coordinate the day. Someone needs to be in charge of the day to manage the time line. They need to organize the bridal party for the ceremony, manage the time between the ceremony and the reception, and keep the party rolling! It makes a huge difference if someone is managing the event so the bride and groom can have a wonderful carefree day! What Decorations are included with the Venue? Cindy said: The brides are viewing pictures of venues that are decorated for events. Many times they do not know what is and is not included. Decorating sets the tone you want to convey your special day. Whether its vintage, country, Bohemian, traditional, or elegant how you decorate makes all the difference. Decorating can be extremely expensive so you need to make the most of your dollars. In order to clarify exactly what they are getting with the price of the venue they need to ask. Our venue comes completely decorated with fabric draped from the ceiling, rustic handmade chandeliers, a beautiful backdrop for the bridal table, as well as antiques filling the loft. Will there be someone there the day of? Leah says: So often we see packages as one-size-fits-all, but it’s the consultants job to fit the venue to your needs rather than the other way around. What makes your venue stand out? 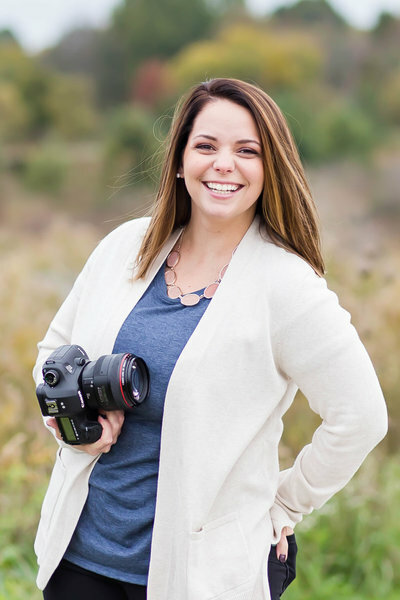 Leah says: With all of the rustic barns in NE Ohio, all wedding photos are starting to blur together. 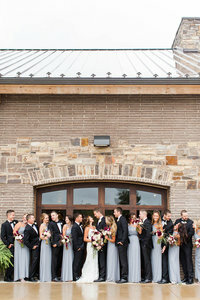 Our modern rustic venue has woodlands, barns, countryside, an art museum, sheep, and more! Your wedding day will be memorable for everyone! Nick from Work Shed Weddings and Joe from Joseph Testa Films contributed these questions to ask your videographer during your consultation with a videographer! Here’s another awesome set of questions to ask wedding vendors! Do you back up all the footage from our wedding? At Work Shed we like to keep 3 copies of the raw footage until the final videos have been delivered, although 2 copies would be sufficient. How will you get audio of the vows? Nick answered by saying: Work Shed provides lav mics for both the groom and the officiant. Both mics pick up all 3 parties during the vows so in case one malfunctions, we have a backup. Will I be able to make revisions to my videos after you send them to me? Work Shed posts all your videos online before the final videos are delivered so you have a chance to look over everything and let us know if you want any revisions. We don’t deliver final videos until you’ve approved all of them. Feature film, will be up to 20 minutes in length, sometimes it goes over and it could be less, it mostly depends on the day, if you have a 5 min wedding ceremony, with no readings, and/or the speeches are really short, the feature film will be shorts, as those are our story tellers. Documentary, will be up to an hour, usually around 45 mins, but again, depending on how long your ceremony went, we try to include ALL of it, so if you had an hour long catholic mass, then it definitely will be longer, since a documentary includes the following: full ceremony, grant entrance, speeches/toasts and dances in their entirety. How many cameras will you use at my wedding? We use at least 3 and sometimes as many as 5 cameras each with their own audio and 3 more audio tracks, We do that to ensure that we capture your vows with multiple tracks. 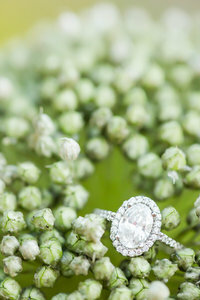 Amy from Bouquet Studio, my favorite florist, and the florist that I recommend to all my Brides. She was my florist at my wedding and I was treated so well, which is why at every consultation, if my Brides do not yet have a florist, I give them Amy’s card. I know they’re in wonderful hands with her! Are the flowers that I want in season for my wedding? What flowers do best during the hot summer months? Consider having a March or April wedding. While the weather isn’t always the prettiest, there are some gorgeous blooms during these months that are also very reasonably priced. Vendors are also rested from the off season compared to a fall wedding when we’re counting down the weekends until off-season comes back around. Valerie is a Wedding and Event Planner from Perfectly Planned. Valerie is also available to plan your bridal showers, baby showers, and birthday parties. Ask your wedding planner about the type of venues they’ve worked at. If their website only has pictures inside “traditional” wedding halls/hotels, make sure to ask them if they’ve done weddings in tents, barns, etc. so you know they will be able to assist you with whatever type of venue you choose. Make sure to ask you planner what is included in her packages. Will they be there to set up all the decor? Will they be there until the very end to clean up? Will they be there the whole day, or only a certain amount of hours? Be very clear about your budget, and ensure that your planner can work within it, and still give you everything you want. Ask them if the budget you gave them is realistic for what you want, and the amount of guests you’re inviting. Bruce from Toe Tapping DJ is my go to DJ when my Brides tell me they are still searching for their DJ for the reception. He was the DJ at my wedding so I know first hand what kind of experience my brides will get from Bruce. How long have you been Djing. There are a lot of guys out there that are new to the business and have no experience in how to handle situations when they go bad the day of. Do you have a contract to sign ensuring your entertainment will show up. I have heard about people’s Dj canceling a week before or even not showing up at all the day of. Do you have backup gear? Lets face it our industry is centered around our gear and electronics all though fantastic can break. Do you want a DJ that doesn’t invest in back up gear. I have multiple back ups just in case something goes wrong or a guest drops something on my gear. It may take me 15 – 30 min to change gear out, but the party isn’t over. Dawnyel from Canton owns Caked to Order. She’s a stay at home mom and loves backing in general! She loves taking a clients vision and baking it into a reality! Here are questions that Dawnyel feels is very important Brides ask. How to arrange for delivery or pick up. Will the cake hold up at an outdoor event. Jennifer, a sweet friend from California owns Honeycomb Desserts and Designs. She and her Brother are incredibly talented bakers who’s creations have been featured on blogs like Today’s Bride, Style Me Pretty, and 100 Layer Cake. Here are questions that Jennifer think are the most important questions for Bride’s to ask their bakers. how much dessert should I order for my number of guests? Do you think my dessert choices offer enough variety for my guests? Katie from Ribbon and Ink actually designed this website for me in the summer. She’s a lady who designs beautiful websites for creatives and branding for Brides! She has wonderful questions that you need to ask when you’re sitting down with someone who is going to brand your wedding. What is the difference between wedding branding and invitations? Why is having a wedding brand important? 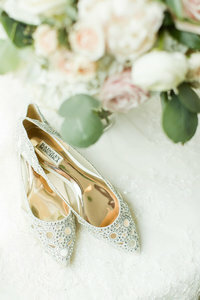 What items are necessary for my wedding and what are added things I don’t necessarily need? Do you do the printing or do I? Monique is another sweet creative friend. She is based out of Miami Flordia and specializes in event stationary. 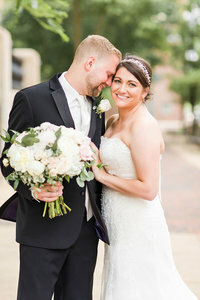 She started Only One Mark after her wedding after a lot of encouragement from friends and family because they loved her wedding invitations that she designed herself. Here are the questions that she thinks are most important when talking about wedding invitations with your vendor. When should I begin working with a stationer for my invitation suite? How can I inform my guests of some important information that wouldn’t normally appear on an invitation? Should I have guests submit their rsvps using an online application? *BONUS* How can we maintain our budget and still have our stationery look fabulous? How do I go about writing my own vows? Do I need a ceremony rehearsal? Do I have to have readings/be ‘given away’/exchange rings? What is the minimum legal wording? While there are so many more vendors that you’ll meet with on your wedding day, I hope you find these questions to ask wedding vendors post extremely helpful! I can’t thank each vendor enough for sending over questions to ask wedding vendors to help brides with their wedding planning and have a better idea going into a consult with the vendors! So for that, vendors, thank you! If you liked this post – Questions to Ask Wedding Vendors, be sure to check out the other posts just for Brides by clicking here!